It depends how many treatments you have had. 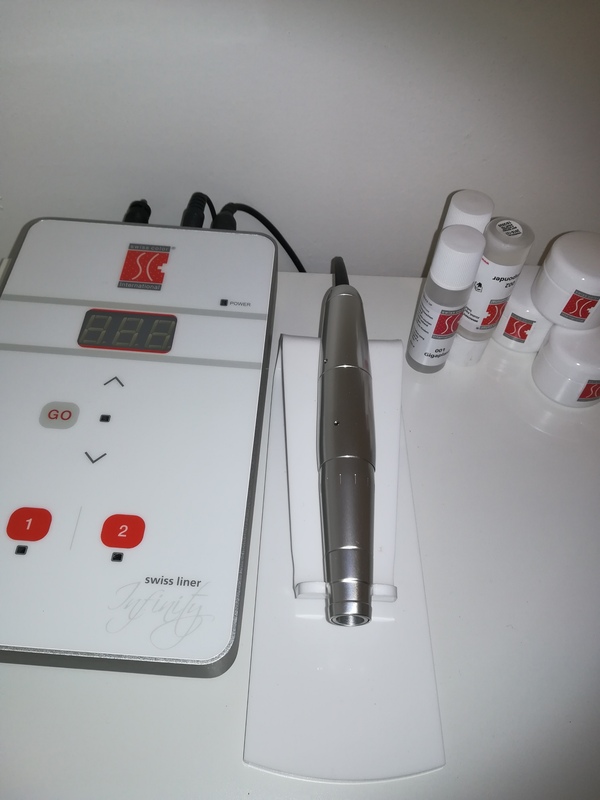 More treatments mean more ink/pigment will absorb to your skin will guarantee longer lasting results. But like with many procedures, there are few factors that will prolong or shorten the expected durability. For example if you are older and your metabolism is slower Permanent Make Up can last longer. If you are younger and your metabolism is faster this means that Permanent Make Up might least less. Often sunbathing / tanning may also result in colour pigment fading. Is permanent make up safe? Yes, the strictest hygiene and sterilisation standards are followed and pre-packed, sterile cartridges are used for each client. Clients can be offered an allergy test prior to treatment. As with any procedure that is breaking the skin, there will always be a risk of infection post procedure. Although the treatment room is considered sterile, the world we live in is not. Hot showers, hot baths, Jacuzzis and saunas etc are to be avoided for at least 24 hours. To prevent infection, do not touch affected areas and avoid make up on treated areas for 2-4 days after procedure. If the skin is broken or a blister appears the area should be kept lubricated to prevent crusting or scabbing of tissue. If swelling does occur, Cold packs, Aloe Vera or any other cooling preparation may be used to ease temporary discomfort. Do not pick any flaky/dry skin as the pigment will also be removed. 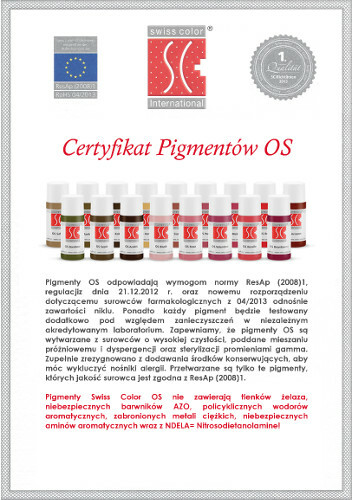 After pigmentation please avoid visits to you cosmetician, sauna and solarium for 14 days. Avoid Chlorinated water and intensive sunlight exposure as this might negatively affect the colour results. If sun exposure is unavoidable, please use sun protection with a high Spf. Clients should use sun block on eyebrows,SPF on lips and wear sunglasses for eyeliner treatments immediately following procedures. Makeup can be applied as long as the skin is not broken. Makeup can also serve as an additional sun block. 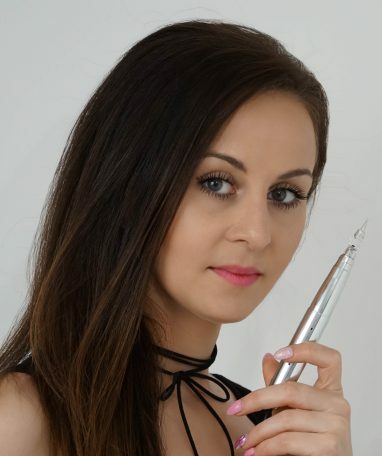 Clients planning to undertake any of the following procedures after their treatment should always inform their physician that they have recently undergone semi-permanent make-up treatments:Botox or collagen (injections can alter the position of eyebrows and lip-liner). Facial laser hair removal (This can fade and change the shape of your lip or brow procedure). 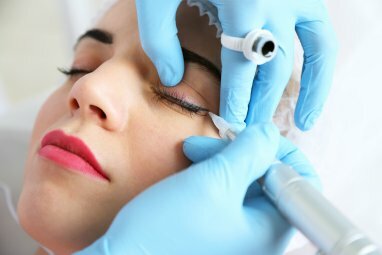 Laser treatments or other skin procedures, plastic surgery, peels or implants (some procedures may affect semi-permanent make-up). MRIorCATscans (low percentage of improper test results). Blood donation should not be considered for one year following treatment. - Use the aftercare cream 1-2 times a day with a cotton bud for 10days! If you experience any itching, swelling, blistering, or any other complications,stop using the cream!You may be allergic to it! 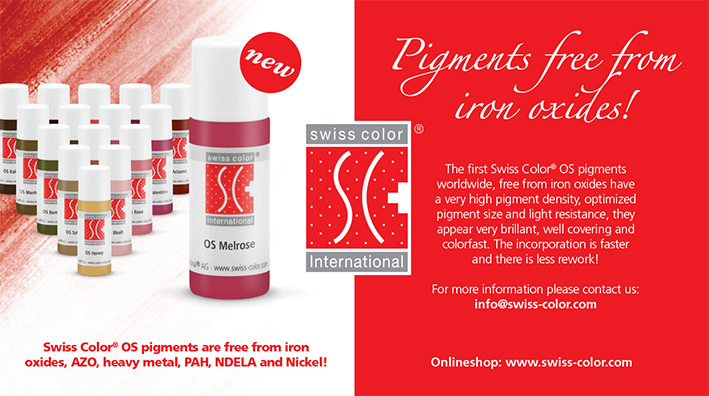 - Do not touch the pigmented area with your fingers to avoid an infection. Sanitize your hands regularly! - No make-up, tinting of lashes or brows, sun exposure, sunbed, soap, sauna, steam, exercise, Jacuzzi, swimming in chlorine pools. Try to keep the tattoed site away from water and moist! - Do not rub or traumatize the procedure area, pigment may be removed along with crusting tissue. - Do not use ANY products that contain AHA’s, Retinol A or similar lightening and peeling products on the procedure area. Example: Lactic Acids, Glycolic. It will fade your pigment colour. - Do not use mascara/eyeshadow for 10 days post eyeliner procedure. - Do not use your eyelash curler for a few days pre- and post eyeliner procedure. Clean your eyelash curler with alcohol prior to reusing it to destroy any bacteria on it. - Do not wear contact lenses for 24 hours post eyeliner procedure, wear glasses. - Do not go for eyelash extensions for 4 weeks post eyeliner or eyebrow procedure! - If you ever had chicken pox, a fever blister, or a cold sore, you must take Zovirax, Famvir or Valtrex or other anti-viral pre and post lip procedure to prevent the outbreak of cold sores! If you do have an outbreak, it will usually occur the 3rd day after the treatment as well as after each touch up. - Do not eat citrus fruits and juices, greasy, salty, oily, or spicy foods until your lips are completely healed! - While eating or drinking, do not constantly wipe your lips with a napkin or keep licking your lips as this will impede the healing process! Make sure the glasses you drink out of are clean! - Be careful when brushing your teeth. Toothpaste may pull the pigment out of the lip vermilion. Also, do not bleach your teeth and do not plan visit to your denstist while your lips are healing. - No smoking and kissing while lips are healing! - Use a “ sun block” after the treated area has healed to prevent future fading of pigment colour. Failure to follow the above advice will result in less than desired results. Remember all procedures must HEAL, PEAL, and FADE! This process may take up to 28 days! The treated area will appear much darker for the first 5-7 days as the crust has pigment colour, blood and lymph in it. After the area peels, the colour will be 30-60%lighter. Touch up visits should be scheduled between 30-45 days post procedure. All PMU procedures are two or three step processes! Results are not determined until touch-up applications are completed. If you experience anything out of the ordinary phone your physician/GP! If you are blood donor, you may not give blood for 1 year following your PMU application (as per RED CROSS). If you are now taking or recently have taken (within last 6 months) any of these drugs please circle below. A patch test is advisable however it does not ensure a client will not have an allergic reaction. I CONSENT…………………………………………………./ OR WAIVE ……………………………………………………… patch test(please initial). If waived, I release the technician and salon form liability if I develop an allergic reaction to the pigment or any products used. (If you require a patch test you must wait 48 hours before we can start the procedure). 1. ________ I understand that the process used in cosmetic tattooing is not a one-step process and may require multiple procedures to achieve the desired results. I realize that the healing process takes at least 4 weeks and that there will be at least 4 weeks between procedures, regardless of how many procedures are required to achieve the desired results. 2. ________ I understand that the fee for each touch-up session of permanent make up procedures is minimum half- price of the initial treatment and must be completed within 3 months of the initial procedure to qualify as a touch-up. 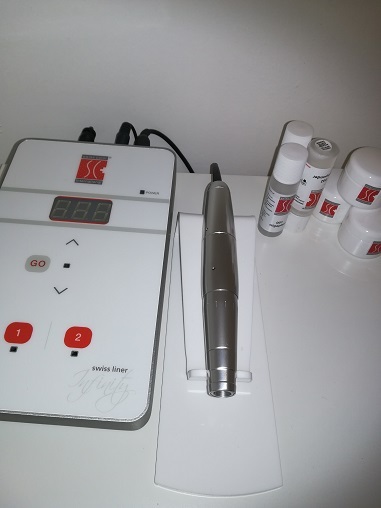 Touch-up sessions of procedures completed by technicians other than Karolina Drelich or after 3 months of the initial procedure ranges from a minimum of 60% of full fee to 100% of full fee after 2 years. Payment is rendered upon completion of each session. There is a non-refund policy. 3. ________ I understand that this is a cosmetic tattoo and with time pigments can and will fade or change according to metabolism, lifestyle, skin type, medications, age, smoking, alcohol, sun exposure, and use of chemicals such as Retin-A and Glycolic acids. Touch-up maintenance work will be expected in the future to keep it looking fresh. 4. ________ I acknowledge that no guarantees have been made to me concerning the results of this procedure. 5. ________ I understand that there are some known possible complications of permanent cosmetic procedures including some minor bleeding, redness, swelling, puffiness, corneal abrasions, dark patches, allergic, reactions, pigment migration and tenderness. I also understand that this is normal to lose approximately 1/2 of the colour during the healing process. 6. ________ I realize that after the procedure the colour will appear to be too dark and that in about 6 days the colour will appear to change and that after about 10 days the colour will appear softer since the colour has moved from the dermal to the epidermal layers of the skin. 7. ________ I realize there will be a period of time when scabs may form and the skin will slough off and that I am not to touch these areas during this time. 8. ________ I understand the nature of the procedure and possible complications or adverse effects that may occur as a result of applied pigments, which include risk of infection, scarring, eye damage, inconsistent colour, hemorrhage, and possible spreading, fanning or fading of pigments and or allergic reaction to any products used. I fully understand that this is tattooing process and therefore is an art not a science. 9. ________ I have received and acknowledged pre- and post procedure instructions and agree to strictly adhere to such instructions including refraining from wearing make up 7-10 days following the procedure. When I resume wearing make up I will use only new eyeliner, lipstick, mascara or brow pencil according to the procedure I have had done. 10. ________ I accept responsibility for determining the colour, shape and the position of the pigments that will be applied and will approve such applications before the procedure begins. I understand that actual colour of the pigment may be modified slightly due to the tone and colour of my skin and that because of the elasticity of the skin the shape may change slightly from that which I originally approved. However I know that every effort will be made to make the final result flawless. 11. ________ I understand that if I have any skin treatments, laser hair removal, plastic surgery or other skin altering procedures, it may result in adverse changes to my permanent cosmetics. I acknowledge some of these potential adverse changes may not be correctable. 12. ________ I understand the taking of before and after photographs is required. I also understand that exceptional photographs or results may be used in advertising or promotional materials and give permission for such usage. I also understand that any photographs will not be used for such purposes if I withhold my permission. 13. ________ Treatments may be recorded. A proposed outline of the cosmetic tattoo will be drawn on the skin before the procedure commences. If propositions are not accepted, treatment will not be performed. b. Eyebrow touch-up treatment …………………………………………………………………………………. c. Upper eyeliner initial treatment …………………………………………………………………………………. d. Upper eyeliner touch-up treatment …………………………………………………………………………………. e. Lower eyelid initial treatment …………………………………………………………………………………. 15. ________ I further acknowledge that at the time of signing this consent to this procedure(s) I was of sound mind and capable of making independent decisions for that and myself no one has coerced me into making this decision; I am not under the influence of alcohol or drugs. I also agree not to hold either Karolina Drelich or anyone who may be assisting her liable for any reactions, outcomes or occurrences that may or may not result from having this procedure(s). 16. ________ I certify that I have read and initialed the above paragraphs and have had them explained to me and fully understand the above consent and procedure permit; That the explanations therein referred to were made and I accept full responsibility for these and/or any other complications which may arise or result during or following the cosmetic procedure(s) which is to be performed at my request according to this consent were filled in before I signed this statement. I acknowledge that this is a contract and that I have received no warranties or guarantees with respect to the benefits to be realized from or consequences of, the aforementioned procedure(s). Mink Lashes are soft, luxurious, weightless and natural to the touch. They accentuate the beauty of your own lashes and give your eyes an instant lift. No need for mascara as they give the eyes a full luscious look. A 24 hour patch test is required. Please remove any mascara or eyeliner prior to your appointment. They will last the full cycle of your natural lash cycle. Your eyelash typically falls out every 60-90 days and is naturally replaced with a new eyelash. Each lash is at a different growth stage. Due to this lash refills are required every 3-4 weeks to fill in any areas where the lashes have fallen out and the new lashes are growing in. This treatment is very relaxing. You will lie in a relaxed position. Eye patches are placed under each eye to protect your bottom lashes. Your eyes will be closed during the treatment. The mink lashes will then be adhered to your individual lashes. It takes approximately 2-3 hours. 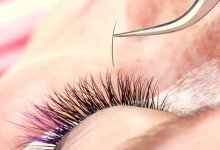 The lash lift procedure has revolutionised old, inadequate perming techniques. Using silicone pads instead of perm rods, this new technique can lift, straighten or curl, and lengthen your own natural lashes to create a brighter, fuller, wide eyed look. No need for extensions and the associated aftercare, this will last you 6-8 weeks and can be combined with a lightly tin. No. Select a carefully trained and skilled Professional to ensure proper Lash Lift procedures are followed. Yes but it is advised that you leave your lashes untouched for at least 24 hours after your treatment,if you wish to make your lashes even fuller, a non-waterproof mascara is advised as the removal of waterproof mascaras can be harsh on the lashes and weaken the lift. 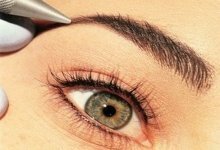 Permanent eyebrows to fill in sparse your eyebrows reshapes poorly arched or uneven brows or gives you back your brows if you have suffered eyebrow loss — all to revitalize your appearance…it’s like having a “non-surgical” brow lift! Permanent eyeliner is a cosmetic tattoo that can be applied on the upper and lower eyelids. For darker and thicker lashes the lash line can be filled in. A variety of colors can be used, however, shades of brown and black are certainly the most popular. So what can you expect post-procedure? 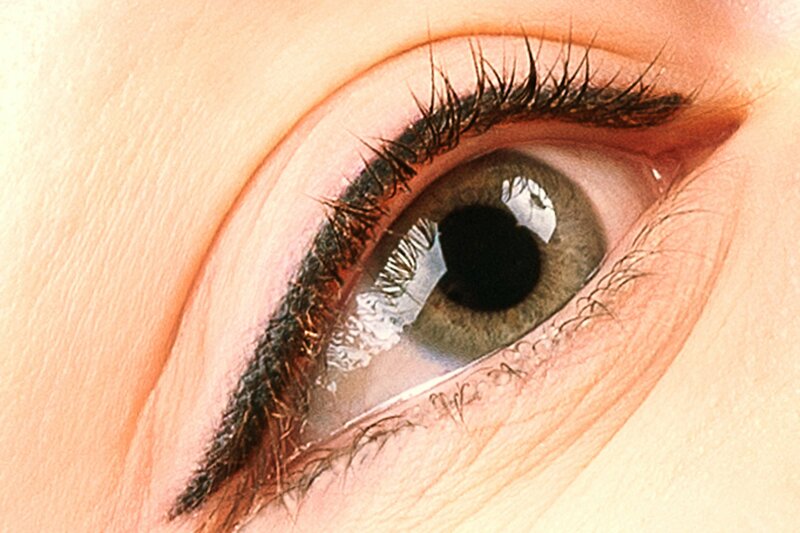 After having permanent eyeliner done, there is some simple after-care to think about. The eyelids can be puffy and tender and may stay that way for a few days. You’ll want to sleep with your head elevated the first night or so. Your eyes will typically look like you’ve been crying a lot. If you swell up after a good cry, then you can expect to look like you have had a good cry. They may be noticeably tender, maybe a bit red but not terribly swollen or painful. You will be provided with after-care instructions and you’ll know what to do and what to expect before you leave the studio. You are all very welcome to my Beauty Salon. I graduated from Art School and I am a certified linergist and eyelash stylist. My work has become my passion. My main goal is helping my customers, improving their appearance and self-esteem. I always attempt to create nice and friendly atmosphere so that my customers are relaxed and happy with the treatment they receive. Please get familiar with my offer! Contact me, to arrange visit time that will suit you.